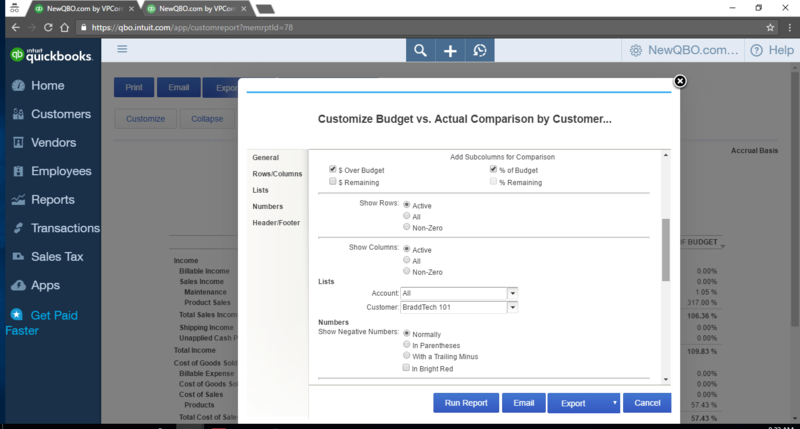 You will need to customize the report from the built-in Budget vs Actual Report. And save that customized report and make it My Custom Reports. Next time, you can run it from My Custom Reports tab. 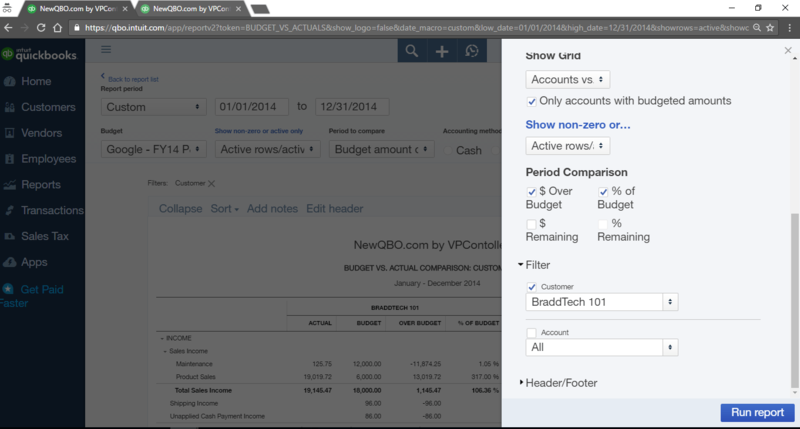 (Budget feature is available only in PLUS plan subscription in QBO). 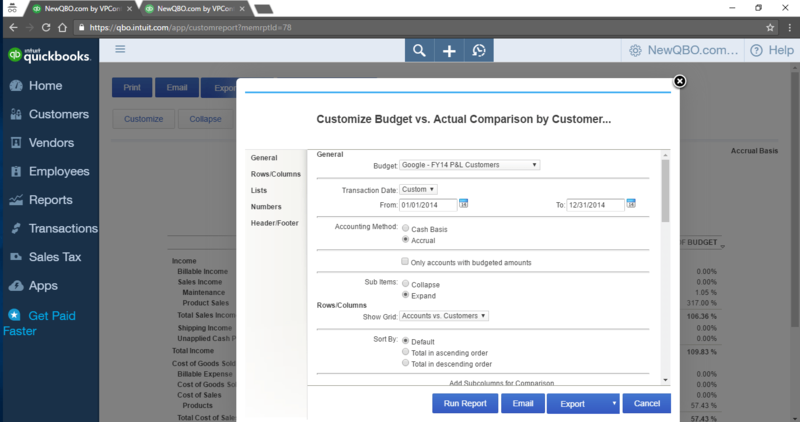 Run the regular Budget vs Actuals Report (left navigation bar > reports > go to report field and type budget vs actuals). Click Customize button at the upper right corner. 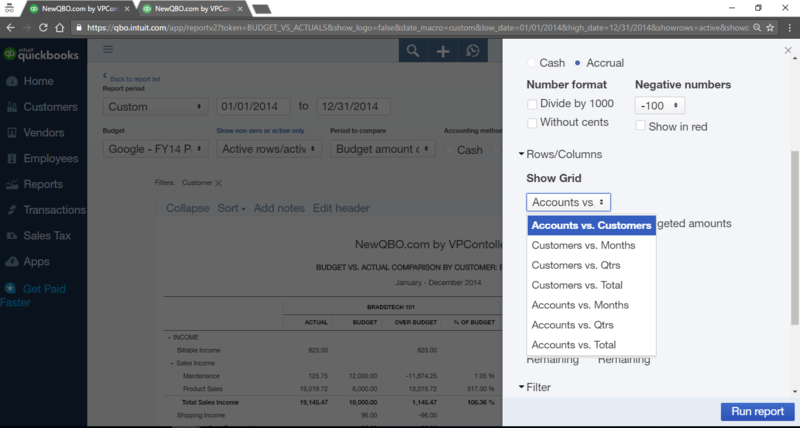 Go to Rows/Columns section and select “Accounts vs. Customers under Show Grid. Go to Filter section and select a customer in question from the list. Optional: Customize more if needed like editing the header for report title and so on. Click “Save Customizations” button at the upper right corner. 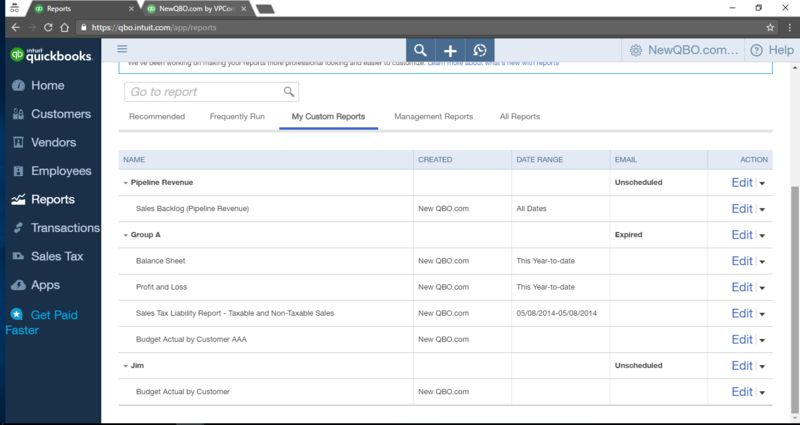 Next time, you want to run that report, you can run it from My Custom Reports tab. (from the left navigation bar > reports > select my custom reports tab). 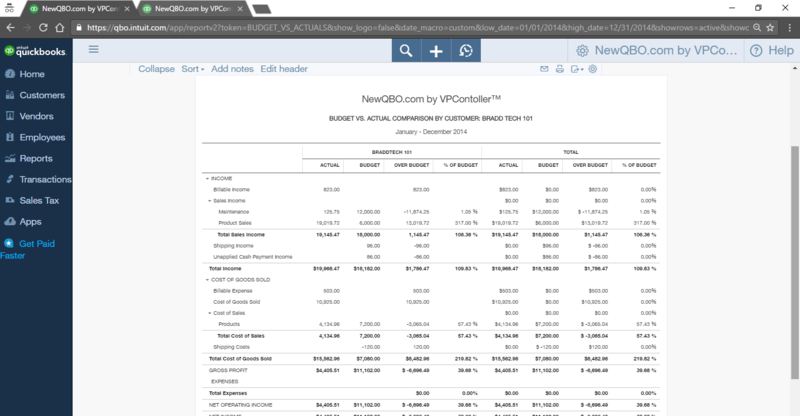 Note: If you’re still using the previous version of designed reports format (not newly redesigned reports, customize button is at left corner. Rest of the customization process should still be more or less the same. See attached screen shots.